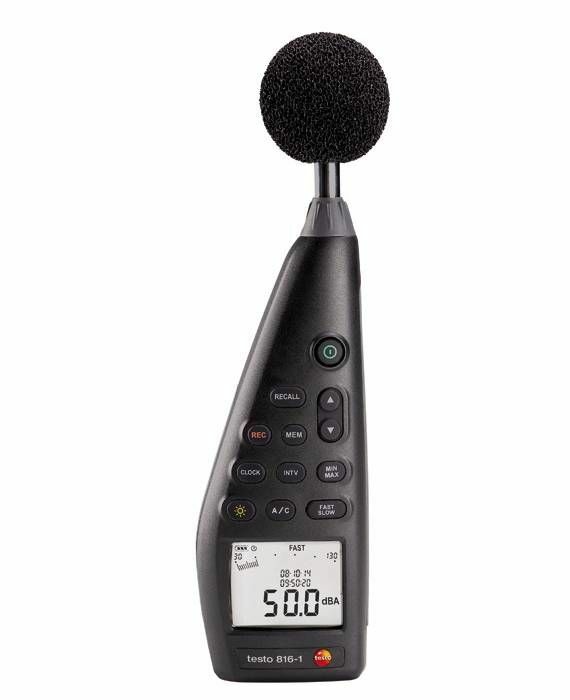 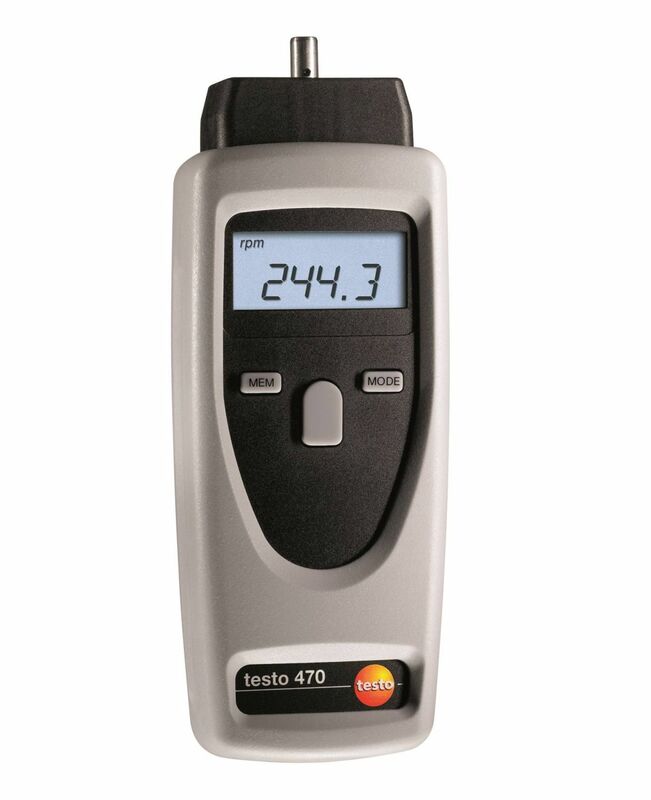 For carrying out non-contact rpm measurements: the testo 460 RPM meter is ideal for RPM measurements on fans, crankshafts and motors. 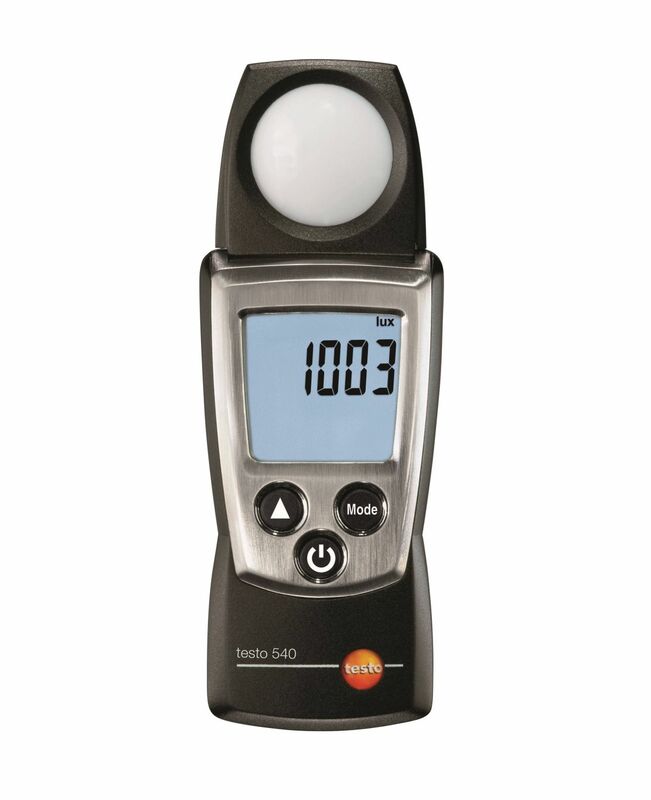 It comes with self-adhesive reflective markers, LED measurement spot marking and other accessories. 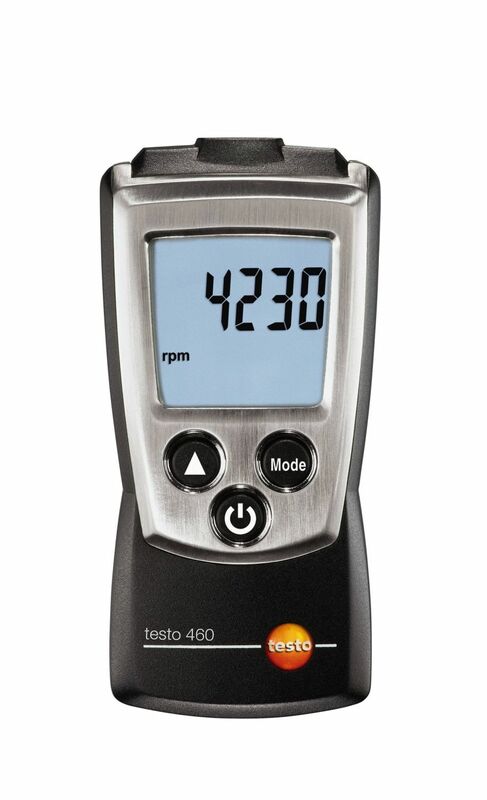 The lightweight, pocket-sized testo 460 RPM meter provides you with quick and reliable readings when carrying out checks on fans, crankshafts and motors. 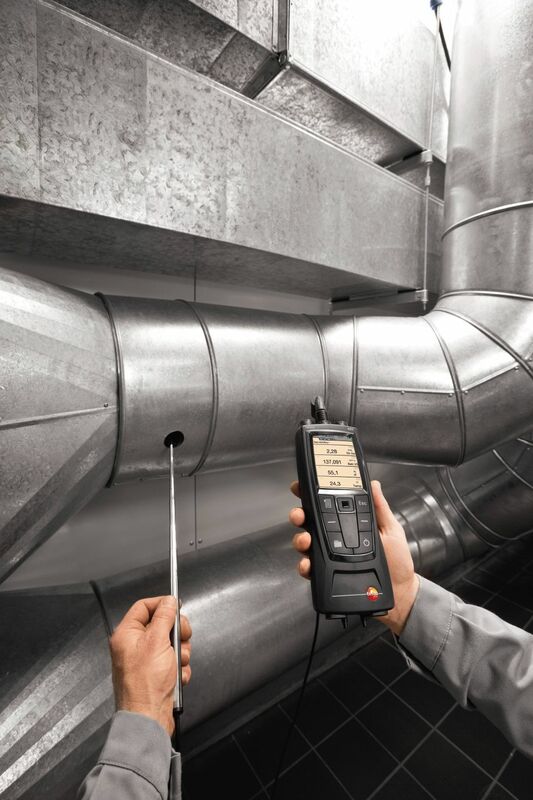 And because the checks can be performed while the machines are still running, there’s no need to stop production or shut down machinery. 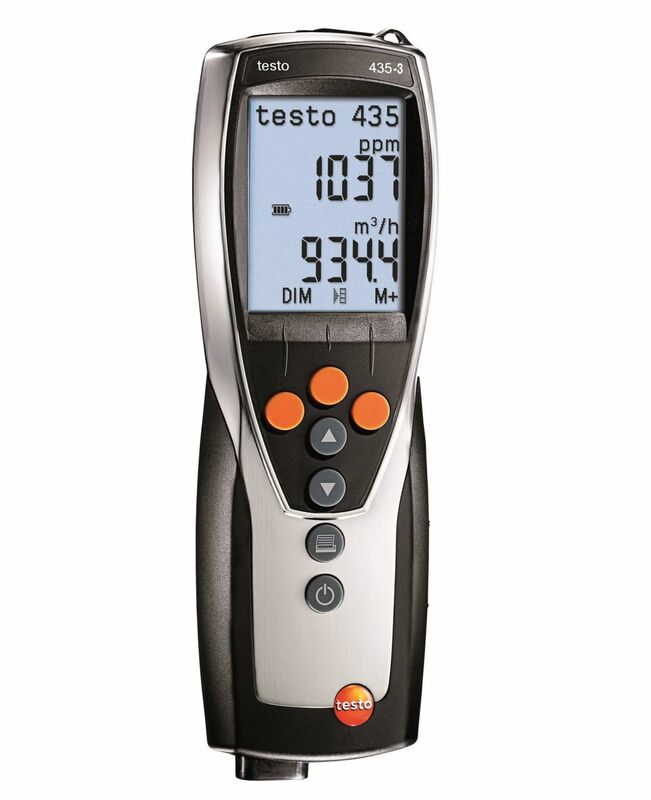 Remove the lightweight meter from the practical belt bag and place the hand strap gently around your wrist to prevent your RPM meter from accidentally falling onto the floor. 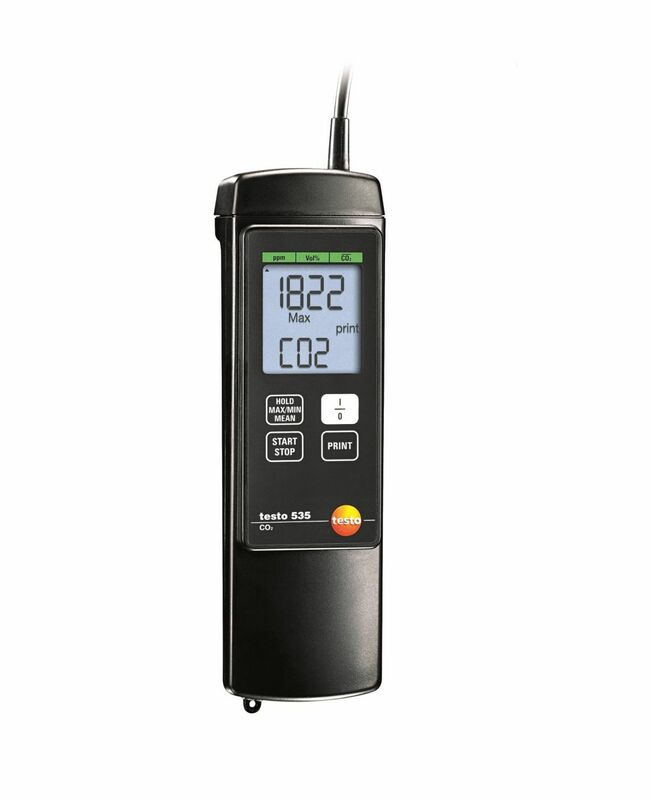 The compact RPM meter is now ready for use. 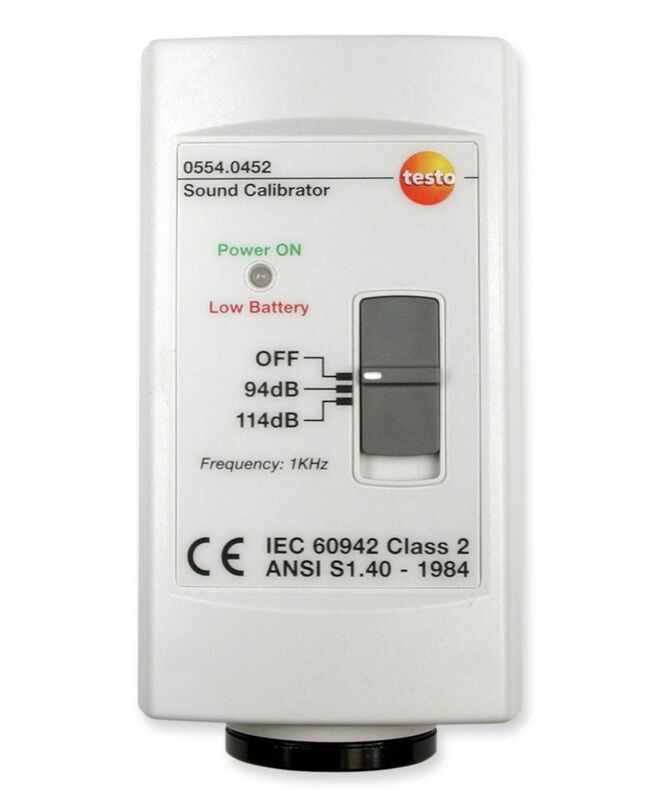 Attach the self-adhesive reflective markers,which can be reordered at any time, to the measuring object. 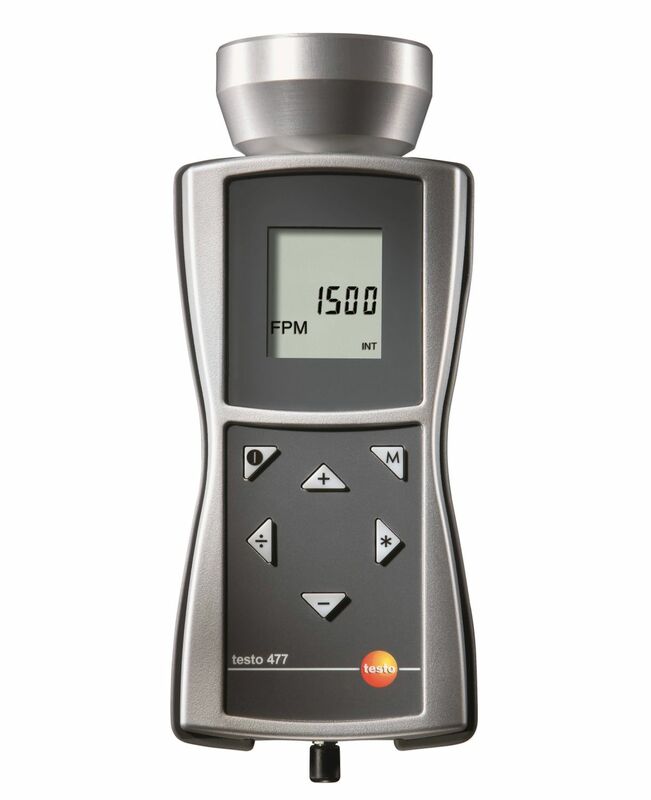 The RPM meter transmits an LED measuring spot which marks the center of the measuring area. 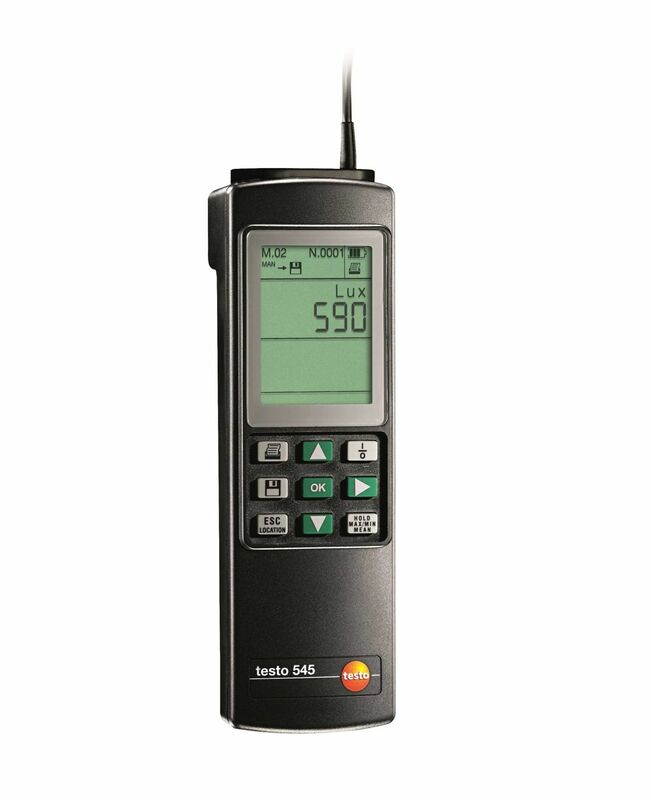 The measuring spot is now aligned to the reflective marker. 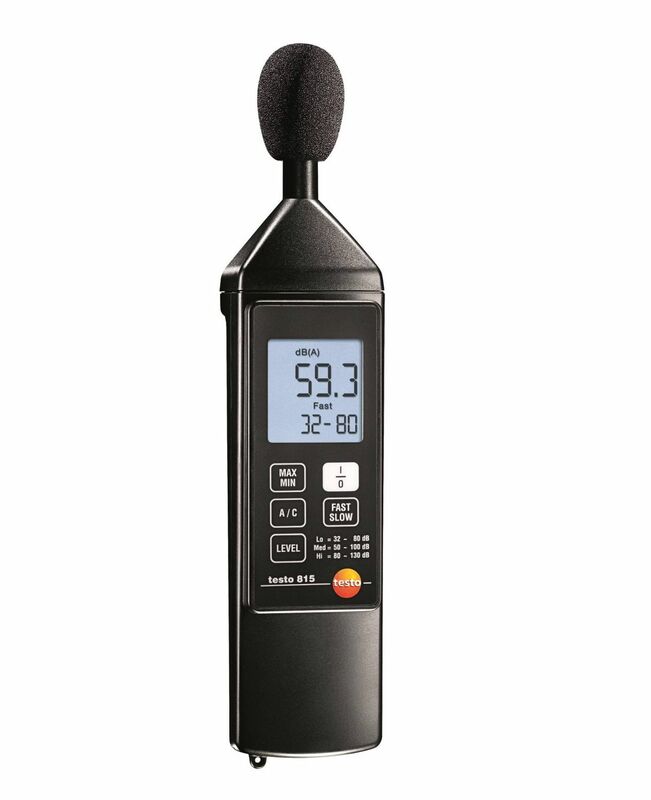 That’s all there is to it! 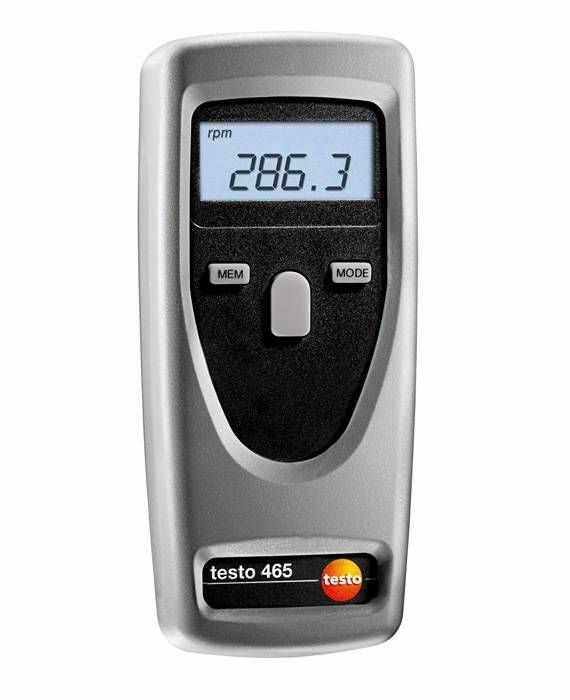 You can now use your testo 460 RPM meter to carry out quick and accurate measurements on the measuring object from any distance between 10 and 40 cm. 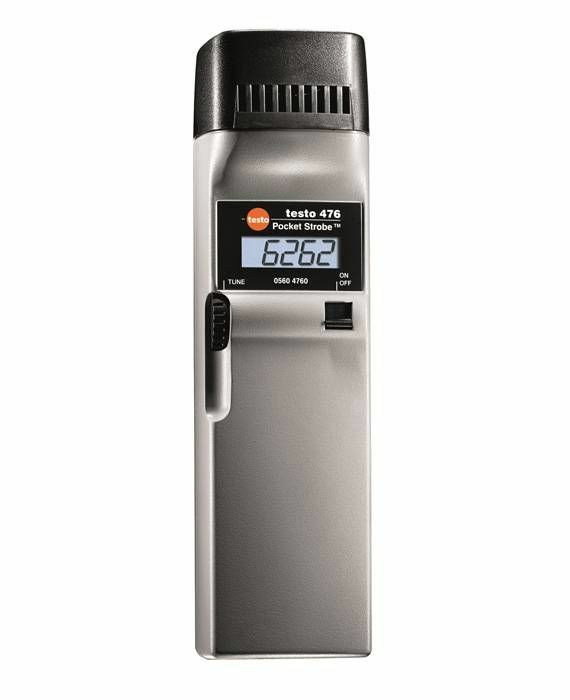 The testo 460 also has a hold function that freezes the last reading on the display for added convenience and a backlit display that makes it ideal for use in all lighting conditions. 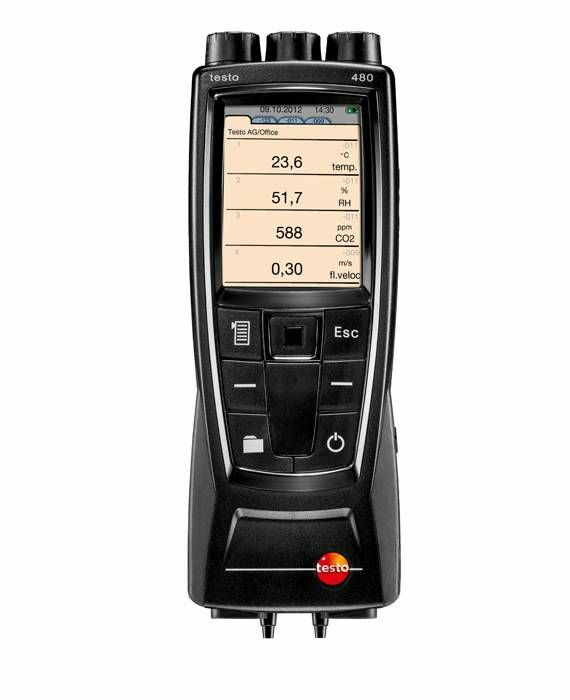 Min/max values can be accessed at the touch of a key. 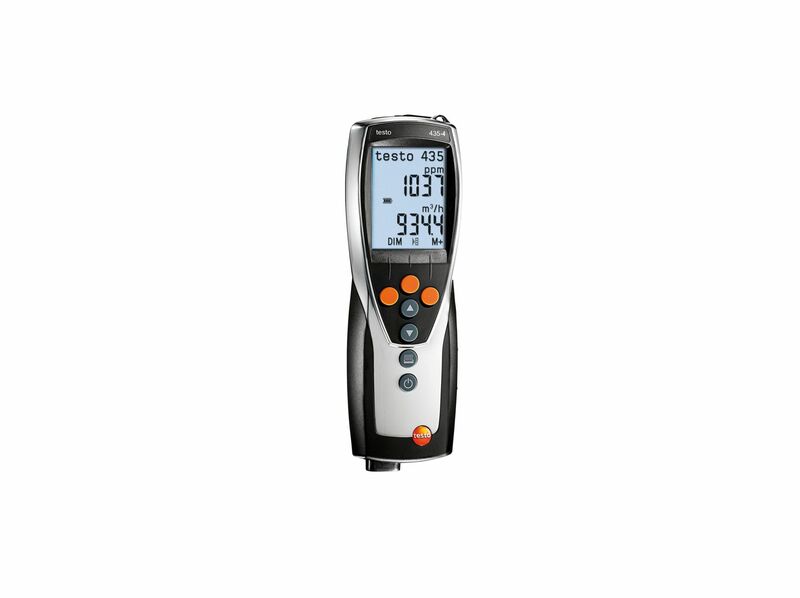 Replace the protective cap and return the RPM meter to the belt bag where it can be stored safely until you next need it. 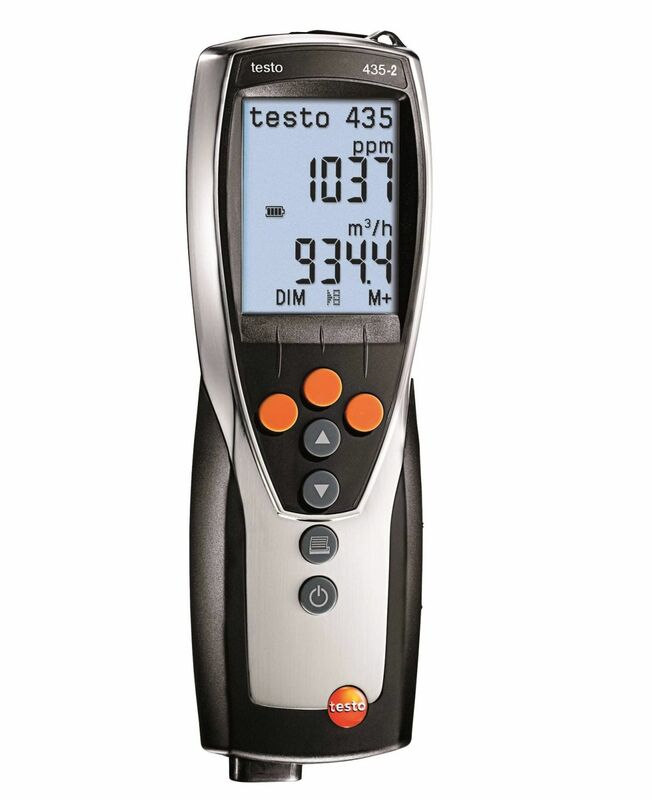 testo 460 RPM meter, reflective markers, protective cap, calibration certificate, belt bag, batteries.